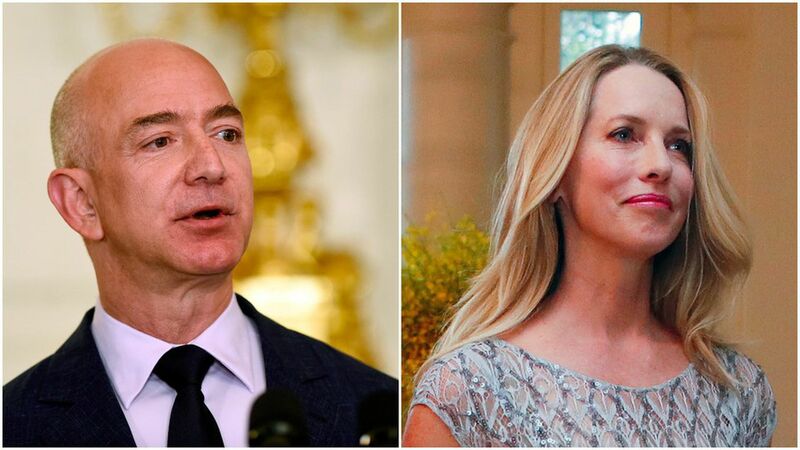 Laurene Powell Jobs, the billionaire philanthropist and president of the Emerson Collective, is buying a big stake in the organization that owns the NBA's Wizards and NHL's Capitals, the Washington Post reports. Powell Jobs, widow of Apple's Steve Jobs, is further establishing herself as a D.C. power player. Meanwhile, so has another West Coast billionaire — Jeff Bezos. Bezos spent $250 million in 2013 to buy the Washington Post. Through the Emerson collective, Powell Jobs in July bought a majority stake in another D.C. media institution, the Atlantic. She is also an investor in Axios. Bezos bought two neighboring mansions in Washington's Kalorama neighborhood last year for $23 million, planning to turn them into a single-family home. Powell Jobs has dated Adrian Fenty, who was D.C.'s mayor from 2007 to 2011. Powell Jobs now owns 20% of Monumental Sports and Entertainment, which include the Wizards, Capitals and Capital One Arena. Northern Virginia is in the running for Amazon's second U.S. headquarters, with Maryland and D.C. also putting in bids.